Hi Guys! Guess what! It's that time of year again. Our Womb To Walking Baby Guide for 2019 is getting underway. We have so many amazing cool brands and products to show off. Some brands are participating in several reviews so just be on the lookout for what's new and as always, don't be afraid to send over an email so I know what you want to see in the guide. For this year's Womb To Walking Baby Guide, we are doing it a little bit different. Using our Sneaky Santa Mission as our inspiration, a local expecting mom has been nominated to receive all of the products we get for the guide. It's going to be an awesome surprise baby shower! For our new readers, our Womb To Walking Baby Guide covers all things to do with pregnancy through the baby's and moms first years. We love sharing products that make life easier and all of the must-haves. The excitement of a new baby can be beautiful and overwhelming at times. What do we need? What's convenient? What brands do we trust? 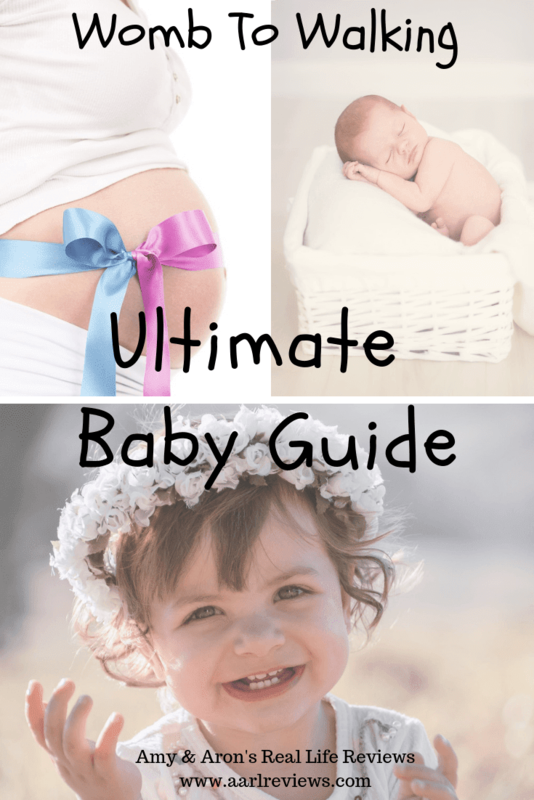 Our Womb to walking baby guide is here to help them along the way. You can expect a full post along with social shares of the products that you send our way. Amy & Aron's Real Life Reviews currently receives 231,171 unique monthly viewers and has 768,852 monthly pageviews. It has a social reach of over 65,000 social reach and 1,700 email subscribers. Every feature will be posted in a blog post, shared socially, and sent out to our subscribers. We do have giveaway spots open for the brands that would like to participate in a giveaway and extra social coverage. All of the products that we get for the guide will be thoroughly reviewed and showed off in real, out of the package and assembled, images. We are accepting requests for this guide. If there is something that you are wondering what it is and how it works, please let me know and I will do my best to get it here. I look forward to showing off this year's guide! !